Cilia and flagella are two different types of microscopic appendages on cells. Cilia are found in both animals and micro-organisms, but not in most plants. Flagella are used for mobility in bacteria as well as gametes of eukaryotes. Both cilia and flagella serve locomotion functions, but in different manners. Both rely on dynein, which is a motor protein, and microtubules to work. Cilia and flagella are organelles on cells that provide propulsion, sensory devices, clearance mechanisms and numerous other important functions in living organisms. Cilia were the first organelles discovered, by Antonie van Leeuwenhoek in the late 17th century. He observed motile (moving) cilia, “little legs,” which he described as residing on “animalcules” (probably protozoa). Non-motile cilia were observed much later with better microscopes. Most cilia exist in animals, in almost every type of cell, conserved over many species in evolution. However, some cilia can be found in plants in the form of gametes. Cilia are made of microtubules in an arrangement called the ciliary axoneme, which is covered by the plasma membrane. The cell body makes ciliary proteins and moves them to the tip of the axoneme; this process is called intraciliary or intraflagellar transport (IFT). Currently, scientists think approximately 10 percent of the human genome is dedicated to cilia and their genesis. Cilia range from 1 to 10 micrometers long. These hair-like appendage organelles work to move cells as well as to move materials. They can move fluids for aquatic species such as clams, to allow for food and oxygen transport. Cilia help with respiration in the lungs of animals by preventing debris and potential pathogens from invading the body. Cilia are shorter than flagella and concentrate in much larger numbers. They tend to move in a quick stroke almost at the same time in a group, constituting a wave effect. Cilia can also aid in the locomotion of some types of protozoa. Two types of cilia exist: motile (moving) and non-motile (or primary) cilia, and both work via IFT systems. Motile cilia reside in airway passages and lungs as well as inside the ear. Non-motile cilia reside in many organs. Flagella are appendages that help move bacteria and the gametes of eukaryotes, as well as some protozoa. Flagella tend to be singular, like a tail. They typically are longer than cilia. In prokaryotes, flagella work like small motors with rotation. In eukaryotes, they make smoother movements. Cilia play roles in the cell cycle as well as animal development, such as in the heart. Cilia selectively allow certain proteins in to function properly. Cilia also play a role of cellular communication and molecular trafficking. Motile cilia possess a 9+2 arrangement of nine outer microtubule pairs, along with a center of two microtubules. Motile cilia use their rhythmic undulation to sweep away substances, as in clearing dirt, dust, micro-organisms and mucus, to prevent disease. This is why they exist on the linings of respiratory passages. Motile cilia can both sense and move extracellular fluid. Non-motile, or primary, cilia do not conform to the same structure as motile cilia. They are arranged as individual appendage microtubules without the center microtubule structure. They do not possess dynein arms, hence their general non-motility. For many years, scientists did not focus on these primary cilia and therefore knew little of their functions. Non-motile cilia serve as sensory apparatus for cells, detecting signals. They play crucial roles in sensory neurons. Non-motile cilia can be found in the kidneys to sense urine flow, as well as in the eyes on the photoreceptors of the retina. In photoreceptors, they function to transport vital proteins from the inner segment of the photoreceptor to the outer segment; without this function, photoreceptors would die. When cilia sense a flow of fluid, that leads to cell growth changes. Cilia provide more than clearance and sensory functions only. They also provide habitats or recruitment areas for symbiotic microbiomes in animals. In aquatic animals such as squid, these mucus epithelial tissues can be more directly observed as they are common and are not internal surfaces. Two different kinds of cilia populations exist on host tissues: one with long cilia that wave along small particles like bacteria but exclude larger ones, and shorter beating cilia that mix environmental fluids. These cilia work to recruit microbiome symbionts. They work in zones that shift bacteria and other tiny particles to sheltered zones, while also mixing fluids and facilitating chemical signals so that bacteria can colonize the desired region. Therefore cilia work to filter, clear, localize, select and aggregate bacteria and control adhesion for ciliated surfaces. Cilia have also been discovered to participate in vesicular secretion of ectosomes. More recent research reveals interactions between cilia and cellular pathways that could provide insight into cellular communication as well as into diseases. Flagella can be found in prokaryotes and eukaryotes. They are long filament organelles made of several proteins that reach as much as 20 micrometers in length away from their surface on bacteria. Typically, flagella are longer than cilia and provide movement and propulsion. Bacterial flagella filament motors can spin as fast as 15,000 revolutions per minute (rpm). The swimming capability of flagella aids in their function, whether it be for seeking food and nutrients, reproduction or invading hosts. In prokaryotes such as bacteria, flagella serve as propulsion mechanisms; they're the chief way for bacteria to swim through fluids. A flagellum in bacteria possesses an ion motor for torque, a hook that transmits motor torque, and a filament, or a long tail-like structure that propels the bacterium. The motor can turn and affect the behavior of the filament, changing the direction of travel for the bacterium. If the flagellum moves clockwise it forms a supercoil; several flagella can form a bundle, and these help propel a bacterium on a straight path. When rotated the opposite way, the filament makes a shorter supercoil and the bundle of flagella disassembles, leading to tumbling. Due to a lack of high resolution for experiments, scientists use computer simulations to predict flagellar motion. The amount of friction in a fluid affects how the filament will supercoil. Bacteria can host several flagella, such as with Escherichia coli. Flagella allow bacteria to swim in one direction and then turn as needed. This works via the rotating, helical flagella, which uses various methods including pushing and pulling cycles. Another method of movement is achieved by wrapping around the cell body in a bundle. In this manner, flagella can also help to reverse motion. When bacteria encounter challenging spaces, they can change their position by enabling their flagella to reconfigure or disassemble their bundles. This polymorphic state transition allows different speeds, with the push and pull states typically being faster than the wrapped states. This aids in different environments; for example, the helical bundle can move a bacterium through viscous areas with a corkscrew effect. This aids in bacterial exploration. Flagella provide movement for bacteria but also provide a mechanism for pathogenic bacteria to aid in colonizing hosts and therefore transmitting diseases. Flagella use a twist-and-stick method to anchor bacteria onto surfaces. Flagella also function as bridges or scaffolds for adhesion to host tissue. Eukaryotic flagella diverge from prokaryotes in composition. Flagella in eukaryotes contain far more proteins and bear some similarity to motile cilia, with the same general motion and control patterns. Flagella are used not only for movement, but also for aiding in cell feeding and eukaryotic reproduction. Flagella use intraflagellar transport, which is the transport of a complex of proteins required for the signaling molecules that give flagella mobility. Flagella exist on microscopic organisms such as the Mastigophora protozoa, or they may exist inside larger animals. A number of microscopic parasites possess flagella as well, aiding their travel through a host organism. The flagella of these protist parasites also carry a paraflagellar rod or PFR, which aids in attachment to vectors such as insects. Some other examples of flagella in eukaryotes include the tails of gametes like sperm. Flagella can also be found in sponges and other aquatic species; the flagella in these creatures help to move water for respiration. Eukaryotic flagella also serve almost as tiny antennae or sensory organelles. Scientists are only now beginning to understand the breadth of function for eukaryotic flagella. Recent scientific discoveries have found that mutations or other defects related to cilia cause a number of diseases. These conditions are referred to as ciliopathies. They profoundly affect individuals who suffer from them. Some ciliopathies include cognitive impairment, retinal degeneration, hearing loss, anosmia (loss of sense of smell), craniofacial abnormalities, lung and airway abnormalities, left-right asymmetry and related heart defects, pancreatic cysts, liver disease, infertility, polydactyly and kidney abnormalities such as cysts, among others. Additionally, some cancers have a connection to ciliopathies. Some kidney disorders related to cilia dysfunction include nephronophthisis and both autosomal dominant and autosomal recessive polycystic kidney disease. Malfunctioning cilia cannot stop cell division because of no detection of urine flow, leading to cyst development. In Kartagener’s syndrome, dynein arm dysfunction leads to ineffectual clearing of the respiratory tract of bacteria and other substances. This can lead to repeated respiratory infections. In Bardet-Biedl syndrome, cilia malformation leads to such problems as retinal degeneration, polydactyly, brain disorders and obesity. Non-hereditary diseases can result from damage to the cilia, such as from cigarette residues. This can lead to bronchitis and other issues. Pathogens can also commandeer the normal symbiotic fostering of bacteria by cilia, such as with Bordetella species, which causes cilia beating to reduce and therefore allows the pathogen to attach to a substrate and lead to infection of human airways. A number of bacterial infections relate to flagella function. 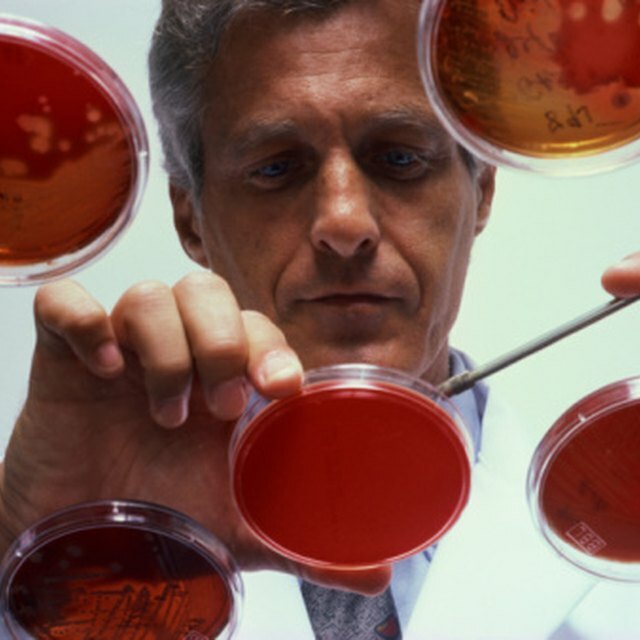 Examples of pathogenic bacteria include Salmonella enterica, Escherichia coli, Pseudomonas aeruginosa and Campylobacter jejuni. A number of interactions occur that lead bacteria to invade host tissues. Flagella act as binding probes, seeking purchase on host substrate. Some phytobacteria use their flagella to adhere to plant tissues. This leads to produce such as fruits and vegetables becoming secondary hosts to bacteria that infect humans and animals. One example is Listeria monocytogenes, and of course E. coli and Salmonella are infamous agents of foodborne illness. Helicobacter pylori uses its flagellum to swim through mucus and invade the stomach’s lining, evading the protective stomach acid. Mucous linings work as an immune defense to trap such invasion by binding flagella, but some bacteria find several ways to escape recognition and capture. Filaments of flagella can degrade so that the host cannot recognize them, or their expression and motility can be switched off. Kartagener’s syndrome also affects flagella. This syndrome disrupts the dynein arms between microtubules. The result is infertility due to sperm cells lacking the propulsion needed from flagella to swim to and fertilize eggs. As scientists learn more about cilia and flagella, and further elucidate their roles in organisms, new approaches to treating diseases and making medicines should follow. Ciliopathy Alliance: Structure and Function of Cilia: What Are Cilia? Dianne, J.. "What Are the Main Functions of Cilia & Flagella?" Sciencing, https://sciencing.com/main-functions-cilia-flagella-10572.html. 10 September 2018.